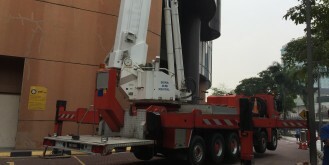 Water leakage at the 13th floor external wall, the team using the skylift for inspection. 1. 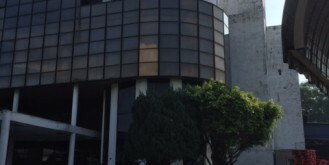 Problems: External wall and window cracks causing water leak into the building at the round building area 2. 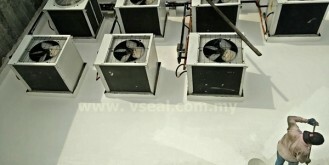 Solutions: Koster 21 Waterproofing System 1. 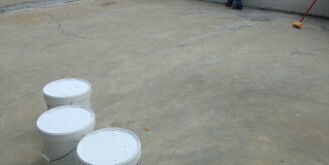 Surface Preparation 2. 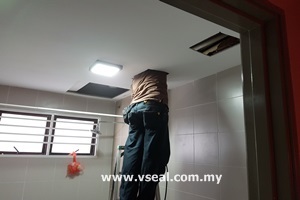 Repair all the joints 3.Clean all the debris and dirt 4.Applying the Koster 21 Waterproofing System 5. Work Done! 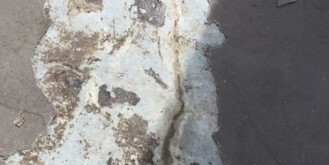 Problems: Cement screed and slab cracks, water leak to the below. 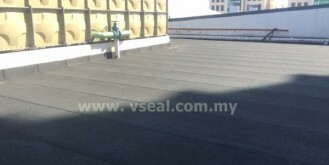 Solutions: Koster 21 Waterproofing Systems 1. 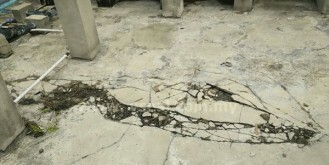 To expose the cracks 2. Clean the surface 3. 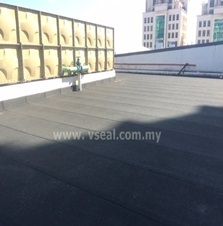 Patch all the cracks and leveled the ponded area 4.Prepare the waterproofing material 5.Work Done!